Tarahumara of Midway came highly recommended from a myriad of friends and family members. So we tried it out...and loved it. In fact, I almost drove 45 minutes tonight just to have a chance to eat that delicious seared scallop dish I enjoyed recently. It was incredible...and full of exotic flavors like passion fruit (!!) and tomatillos. The mix of green and wax beans was also delicious and when I asked what herbs they used, the owner said "none". "Just salt & pepper". Those carmelized onions they served with the beans must have done the trick. The flavors were amazing! Not surprising though...everything at Tarahumara is made from scratch. 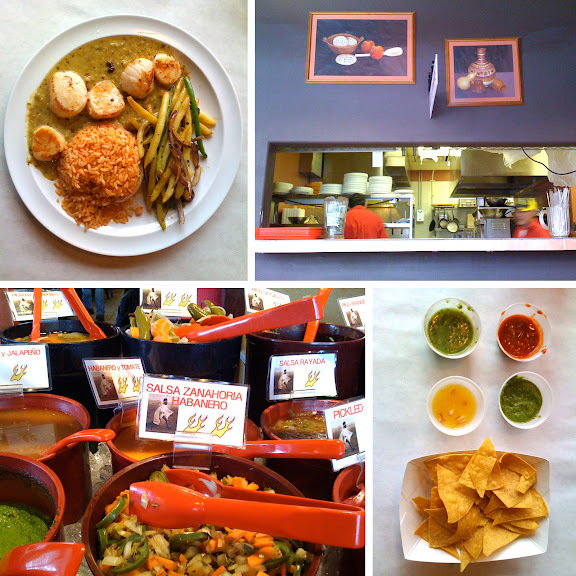 I live here in Midway and we love making an almost weekly trip to taste the yummy food at Tarahumara. My husband's fav is the tequila shrimp dinner and I love the guacamole tostada. And yes, the salsa is so good! Mmm sounds delish! We go to Midway all the time, my brother owns a place at the Zermatt ( that he graciously shares)--next time we will try out this place! Thanks for the suggestion. plus, the mango-salsa is to die for. I love to hear of new yummy restaurants. I'll be heading to Midway soon, that looks delicious!